The Story: I was following a hunting cuttle fish when I saw something amazing happening. The cuttlefish changed colors and caught a mantis shrimp. 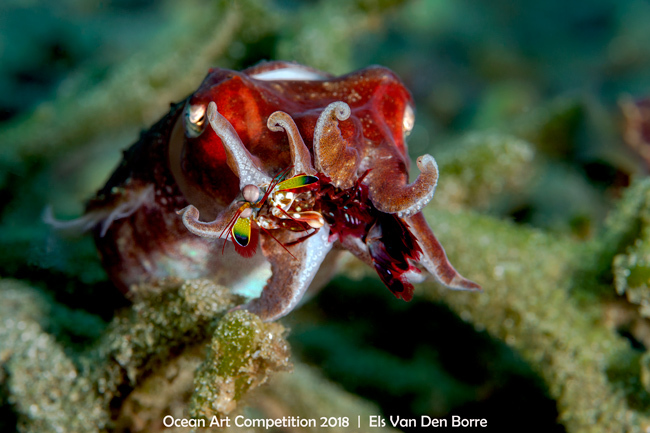 Barely a few seconds later, the mantis shrimp was completely swallowed by the cuttlefish. Being prepared and being at the right place, I was able to take this shot.